It’s Whack A Mole where the moles fight back! An evil scientist has combined a mole and a bear to create a creature with strength and stealth. Molebears are taking over the world and it is up to you to stop them! Apparently, tapping and swiping multiple objects on a screen is pretty dang tough, especially when you have to remember which molebears to swipe and which molebears to tap. Many of my friends and family couldn’t get past level 3. 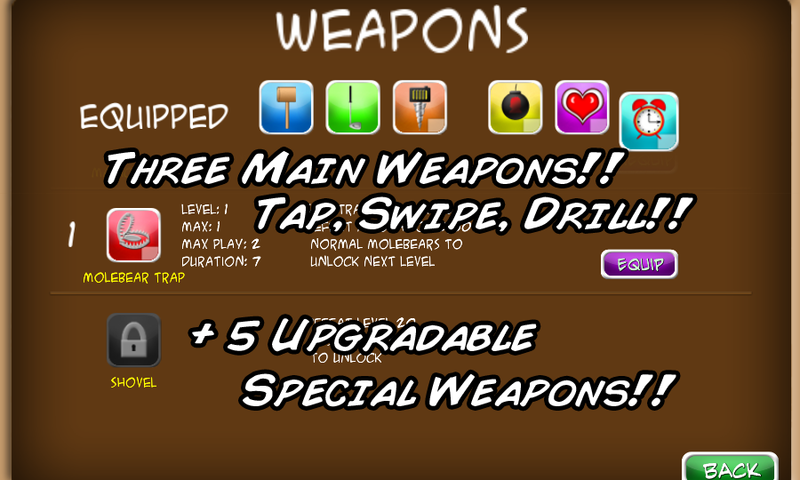 Due to that, I’ve created skill levels you can choose, from beginner all the way up to maniac. Now, anyone should be able to get through the game, but the challenge is still there if you think you are good enough. Molebears are created by an evil scientist who combined mole and bear attributes. They are tough, adaptive, and come in 12 different types, each with its own powers. Players, equipped with a hammer, golf club, drill, bombs, and other weapons are tasked to travel the world to defeat them. There are total of 10 different maps and 40 levels. As the player progresses, more and more types of molebears appear to test the player’s memory and reaction time. 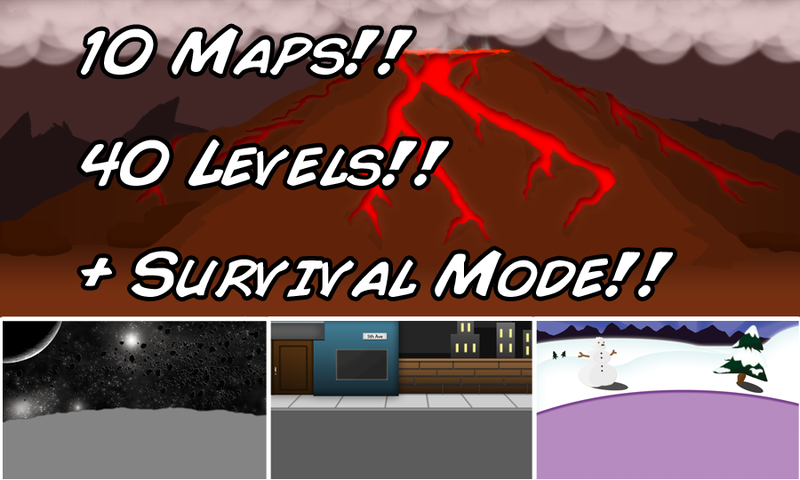 27 Achievements offer even more goals to complete and Survival Mode will challenge even the most skilled players. 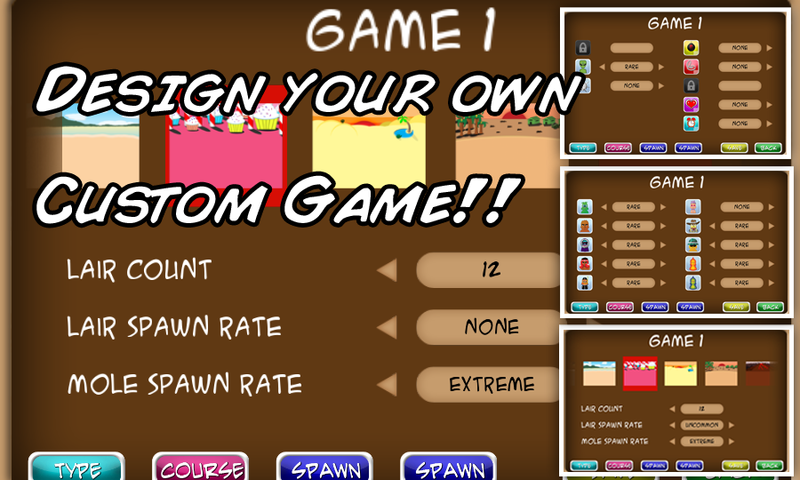 Finally, Custom Mode allows players to define level type, goals, maps, and even molebear spawn rates. Indie Games News and Reviews! Video game blog; I write game reviews and opinion articles. I focus mainly on Indie gaming and Indie Development. Learn about game design, development, and marketing by hearing from others; or submit your own articles and get publicity for your projects! The opinions of the writers aren't always the same as those of the editors' or readers', and vice versa, so comments and questions are encouraged! Mostly about everything I love to do.